Gail joined the Zonta Club of Thames/Coromandel in 1994 after belonging to the Soroptimist International previously in Christchurch. She was the Member of Parliament for Lyttelton from 1990-1993 in the National Government. She took a three year sabbatical from Zonta while National Treasurer for the National Council of Women 1996-2000. Gail moved to Tauranga in 2005 and transferred to the Zonta Club of Tauranga. She is a Chartered Accountant and ran her own practice in Thames and latterly in Tauranga which she sold in 2013. Gail was elected to the Tauranga City Council as a councillor in 2013 was re-elected in 2016 and serves as a director of the Bay of Plenty District Health Board as a government appointee since 2010. She is a JP and currently the treasurer of the Tauranga branch of NCW. 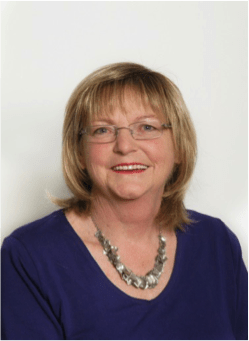 Gail was President in 2012, has previously been the director of the Membership/Fellowship and Status of Women committee and is currently the Treasurer. Also she has been on the funding committee, newsletter editor and had time in most other roles.